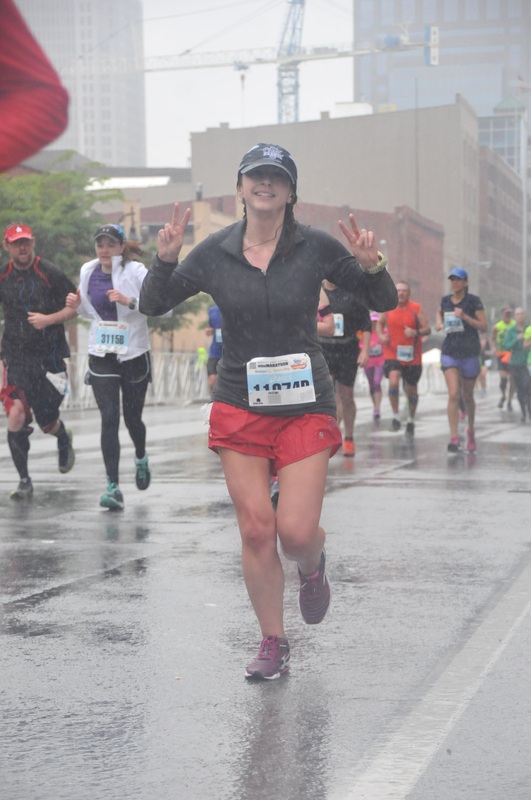 While my goals for 2016 may be more relaxed than previous years, I still wanted to recap 2015 and what I learned about my running. First of all, I met two out of my three goals for the year: I ran a sub-2:15 (and then a sub-2:10!) half. And I coached a Couch to 5k group. I did not get in 1000 miles total this year; in fact, I didn’t even run as many miles as 2014. A lot of this has to do with the burn out I suffered after April. I ran my highest mileage month ever in January 2015, coming in at 123 miles. This was pretty amazing and set me up for some good races in the next few months. I was doing speed work and tempo runs pretty much every week. Not only was January my most mileage, it was my fastest month of the year. Let that sink in. I somehow managed not to get injured doing this. I do wonder if the run streak I did towards the end of 2014 somehow helped with the no injury thing. However, racing is also partly what burnt me out. I love racing; it’s my favorite part of running. But having to revolve my schedule around races practically every week was a little exhausting. Normally with long runs, if you want to sleep in, no problem, just go later in the day. Not so when your race starts at 7am. It doesn’t matter what you want to do that day or the night before. I need to learn a better balance. I liked coaching during the summer. But it was very hard to keep up my fitness level while doing it. After running with the group, I pretty much forced myself to go run on my own afterwards. This did not help with the burn out feeling. I lost a lot of fitness and speed during this time. Would I coach again? Sure! But I would like it to be closer to my home and maybe at a pace closer to my own. I hardly cross-trained or strength trained at all this year. I really need to get back into that. My biggest takeaway from 2015? Don’t sign up for a ton of races months in advance. I don’t care how much money I want to save. I just don’t know what my circumstances will be then and it’s really hard for me to admit when I don’t need to be doing a race. Most of my races this year are going to be spur of the moment decisions, I think. I keep notes for every run, so I can go back and review what I did or how I felt. I ran 163 runs last year. Out of those, I mentioned the word “rough” 20 times and “tough” 8 times. On the other hand, I mentioned the word “good” 29 times and “decent” 7 times. Three runs were “terrible” but twelve runs were “great”. So for all my complaining, I did tend to talk about my runs more positively to myself! By far the best was the Kentucky Derby Festival miniMarathon! It exceeded all of my expectations! I really didn’t think I could run a sub-2:10 half after my lackluster training in February, March, and April, but everything aligned and I DID IT! It was a fantastic race as well! I would love to run this one again. 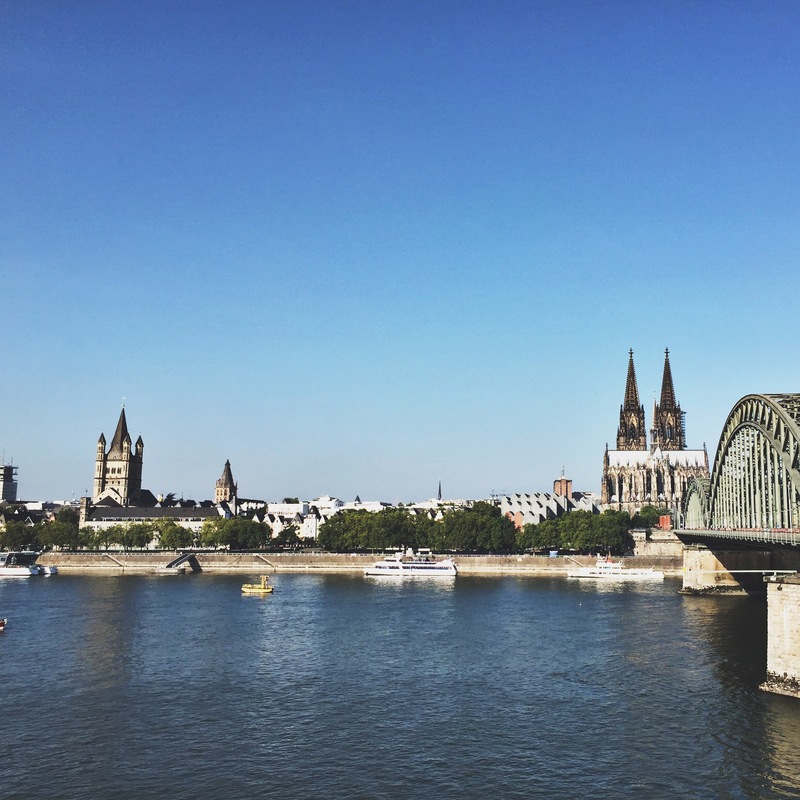 Scenery-wise, my favorite was my seven miler around Cologne. I was feeling good about training for an October half at this point and managed a decent pace as I went up and down and across the bridges over the Rhine River. I had one really good run with East Nasty in November. I had set my watch up to do intervals but felt so good that I ended up doing one minute fast pick-ups instead of walking! Wish every run could be like that! So I’m doing things a bit different for 2016: I’m not setting any super specific running goals. While I did complete two out of three of my running goals for 2015, I think I need a year to really try to reclaim my enjoyment of running. After running seven different races in the first four months of the year (with four PRs and one 120+ mile month), I got severely burnt out. I enjoyed coaching my Couch to 5k group during the summer, but running on my own during that time was practically torture. I really want to get back the pleasure I once got from running. Since half training takes up so much time and I have other things going on that I need to be around for in the coming year (decluttering and fixing up my house to sell being the most involved), Jonathan asked if I could cut back and not run any half marathons. I was already committed to the Nashville Rock ‘n’ Roll, so we agreed I would only run that one (and he’s running it with me!) and then just focus on shorter distances for the remainder of the year. I don’t want to get too much out of shape, but I definitely need to get some of my time back…at least until we can get my house on the market and sold! Thus, my main running goal for the year is to just relax and not worry about the training plan! Back in 2013, I started running for a couple reasons. One is so I wouldn’t look like a fool in the annual 5k my company ran and the other is because I won a Garmin watch and figured I should probably use it. People say to me all the time, “You must love to run!” And I am usually quick to respond with, “Not really.” Not to say that I don’t enjoy it (sometimes), but it’s hard work and never really seems to get any easier. There are many days where I have to drag myself outside to get going when I would rather sit on the couch eating Bunny Grahams. 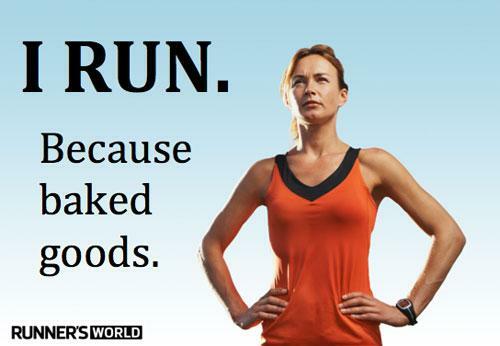 So why do I run then? I love the aforementioned Bunny Grahams. I love cake. I love bread. I love pizza. Although I do try to enjoy these things in moderation, if I didn’t run, I would probably weigh a lot more. Because I love the accomplishment. There is no better feeling than finishing a race with a strong PR. It’s one of the reasons I love racing so much. Unfortunately, racing for PRs requires the tedious training runs. And it’s worth every mile. Because I don’t like contact sports. Jonathan plays soccer. He has had several encounters with players on other teams yelling at him not to touch them when he runs into them. We don’t understand why people play contact sports if they don’t want to be touched. I don’t like random people touching me. So I run.